There are a few basic design rules that are used to create a timeless, elegant feel in your home. A few basics rules are don’t overcrowd spaces, keep trendy colours for accents, use a neutral palette, mix old and new furnishings. An important element in the timeless design that is not to be overlooked is how to dress your windows? Blinds can have a big influence on the look and feel of a room, wooden blinds, in particular, can make your space feel warm and inviting. Wooden blinds are produced from natural materials which create a classy and elegant feel to any room. The versatility of these blinds makes them a very popular choice as they can be used with any type of decor. Keeping your wooden blinds a neutral colour along with your other base furnishings allows you to use trendy accents based on the season. Apart from looking stylish wooden blinds are long-lasting. They are more durable than many other types of blinds and require very little maintenance. Not only can you choose from a variety of natural colours, wooden blinds are also available in white. Using different colours can change the feel of any space. Choose white wooden blinds to give your home a clean and airy Mediterranean feeling. Darker stained wooden blinds can make any wall come to life. Wooden blinds give off clean lines and allow you to play with the light in any space. You can change the feel of any room by filtering the light with the wooden slats. Light can be guided to the ceiling or directed directly into any space and even blocked out entirely. Basswood blinds provide a warm and luxurious atmosphere to any room, they are easily maintained and can be customised to suit the style of any room. Bamboo blinds are eco-friendly and extremely durable, due to the hardy nature of bamboo wood. 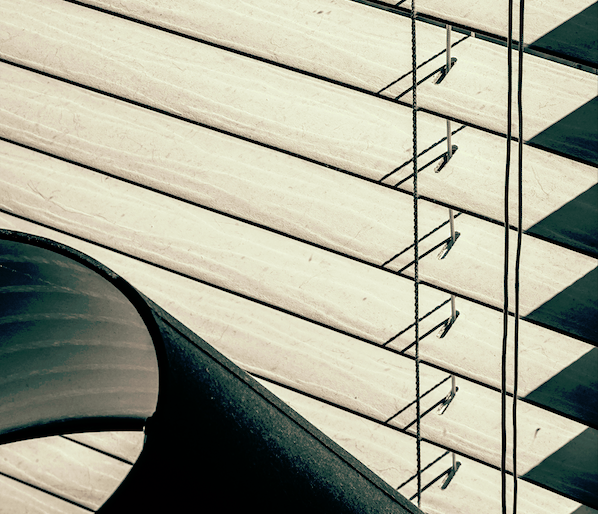 Each blade is thinner and lighter than other wooden blinds which help with the stacking of the blade. These blinds come in a range of natural colours including white for you to choose from. Wooden blinds are the only window treatment a room needs, they offer privacy, warmth, and elegance.